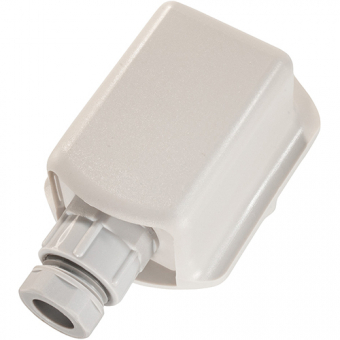 The B+B outdoor temperature sensor for wall mounting has an integrated pt100 sensor. The temperature sensor comes in a weatherproof and UV resistant ABS plastic housing. These B+B temperature probes are perfect for outdoors temperature measurement. The Pt100 Sensor (class B) is protected in a robust weatherproof and UV resistant housing. The connection cable can be easily connected via the PG9 screw connection. The outdoor temperature sensor is designed so simple that the sensor can be easily mounted to the wall with just one screw. For more information please have a look at the manual located within the download. Did you know? B+B is a prestigious manufacturer of temperature sensors and probes since 1984. You are in need of customized temperature sensors? Just contact our sales team.